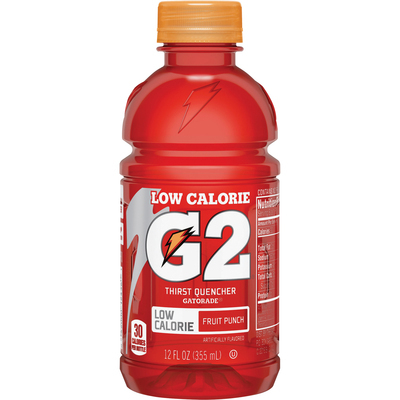 Sports Drink Hydrates With The Same Electrolyte Formula Of Gatorade Thirst Quencher, But Has Less Than Half The Carbs And Calories Of Original G. Advanced Recipe Helps Your Brain Communicate With Muscles And Regulate Your Body'S Fluid Balance. Convenient Bottle Features A Screw-On Cap That'S Excellent While You'Re On-The-Go..
Sports Drink Hydrates With The Same Electrolyte Formula Of Gatorade Thirst Quencher, But Has Less Than Half The Carbs And Calories Of Original G. Advanced Recipe Helps Your Brain Communicate With Muscles And Regulate Your Body'S Fluid Balance. Convenient Bottle Features A Screw-On Cap That'S Excellent While You'Re On-The-Go.